GOUTAM KARMAKAR: Hello Sir. How are you? Hope the conversation will be a good one and you will like the questions. GOPAL LAHIRI: I am fine. Yes I hope so. Let’s see what you have stored for me. GK: Before starting the conversation can you tell your readers something about your childhood days and educational background? Have your childhood memories cast any influence in your writing? GL: I was grown and spent my childhood in South Calcutta. It was very beautiful that time. Clean roads, tree lined avenues and parks and the wonderful Ballygunge Lake which had spruced up my early days. Nature was close by if I may put it that way. I was in a Bengali medium school and started writing poetry in Bengali in my childhood, probably from class-IV. Initially, I was more inclined to write prose especially short stories, features and essays, in school magazines and local journals. As the time progressed, I was more shifted to writing poems both in my mother tongue Bengali as also in English especially when I enter college. My parents and elders never discouraged me in any of my efforts and the flag of freedom was always there in our house. I got the influence of nature early on and I still love that. It means so much in my poems. I am happier writing about my childhood. But yes, I don’t think I could live without it, the childhood memory. GK: You are a Bengali by birth. So one question obviously I will ask. Tell us how far the works of Rabindranath Tagore inspire you? And apart from Tagore are there any Bengali writers whose work you would like to read again and again? GL: Tagore is a towering figure in Bengali literature if I may say so. Poems, novels, essays, song, paintings and what not where Tagore isn’t there and one is stunned to get a feel. When I began to write poems, I looked to Tagore. But yes, I read Tagore and that is that and it is presumptuous to talk about the influence of Tagore. Besides Tagore, I was amazed by the works of Jibananada Das and Bishnu Dey whom I read a lot. Now I find myself reading more of Subhash Mukhopadhyay, Shankho Ghosh, Alokeranjan Dasgupta, Shakti Chattopadhyay and Joy Goswami. In recent times of course, I read and write much less in Bengali. Yes. Sometimes, it becomes a hard task but I choose the particular language (either Bengali or English) if I feel comfortable to express my feelings on that particular theme of the poetry. GK: You have studied science at Presidency College in Kolkata. The college has a beautiful surrounding and enough to rouse one's thought process. So tell us how has the surrounding of the college inspired you? You have studies science and written stories and poems. So tell us why have you shifted your focus from science to literature? GL: Presidency College is a renowned college in Kolkata and I enjoyed every moment there. Studying geology is a fascinating experience and I don’t know anyone who doesn’t feel that way. The college ambiance was such that it did create the fire and need to achieve success. Honestly speaking during college days, I used to be a serious science student, good in academics and want to achieve more in my career. But the hunger for creative writing was always there. Like many others, I have brewed many poems in the college street coffee house, the melting pot of art and literature in Kolkata. With the passage of time, I felt gradually that poetry was the forum I should stick to. Meanwhile I joined drama groups and edited literary magazines as well. As a matter of fact, I used to travel with the poetry groups and recited poems in different poetry conventions and festivals. In the late seventies and early eighties, I used to freelance a lot for an English daily newspaper covering art and cultural events. Meanwhile I completed my masters in Geology and joined in a National Oil Company striving for hydrocarbon exploration and exploitation. It was a different world for me and that was the time when you could make a difference. It was a transferable job and I travelled many parts of India, stayed there, enjoyed my work and gleaned knowledge side by side about the place and the people. I never thought of retirement but it did come. I have retired from my service recently but I feel my second life is opening up now and I can concentrate more on my literary pursuits. GK: You are an earth scientist and naturally carry tremendous work load. So how do you manage your time to write so much? And does your profession create any hindrance or cast any influence to your creative faculty? GL: It’s difficult sometimes but the reality is that I have managed well to be here now. I think everything that makes you is you and some is asset and some isn’t. Earth science is unlike physical science, not run by rigid formula or equation. There are so many qualms in nature and we are yet to capture all the nuances. Imagination comes into play a lot and you have to be flexible in mind. In oil industry we are working on various scenarios to firm up any strategy or plan. So it’s a different ball game and I think poetry sometimes act as a catalyst. Not really it hampers. Not when it comes to a geologist like me. As I mentioned earlier also, my profession never comes in my way of creative writing. It’s not mere a Switch off/Switch off process. Probably, the concept based earth science and the nature itself helps me to strike a balance between the two but a subtle play of emotion is always there. GK: As you are a Bengali you have definitely special love for your mother language. So tell us about your publications in Bengali. Other than Bengali writers in whose works you find more interest and why? GL: I started first writing poems in Bengali and I have been excited by what I felt. My first publication was Amader Kobita. (Our Poems) was published from Proma in late eighties and it was a collection of poems by four young poets. Later I have published over the years four more collection of poems in Bengali. One manuscript of my collection of Bengali Poems is ready and may like to publish probably in next year. Bengali poems are my first love and English collection of poems came much later. There were a few English poets. I was wild about Byron in my early days. It doesn’t come in a moment. Later I Look to Eliot, Pound, Dylan Thomas, Browning, Emily Dickinson, Sylvia Plath and many others. I am very interested in Indian English poets like Dom Moraes, Nissim Ezekiel, Adil Jussawala, Ranjit Hoskote and a few others. I am reading currently more of Sunil Sharma, Sanjeev Sethi, Ananya Guha, Kiriti Sengupta and a few more. GK: What does poetry mean to you? When have you answered the call of Muse for the first time? GL: Poetry is always a part of me. I look it this way. Spontaneity is pure, ecstasy is in the blood, passion is unblinking, rhythms are singing and the lines are coming from unknown areas. There is a poetry, isn’t there? I don’t know what started me? In my early days when fear is not any option and you are free to write. The answer was from my heart. GK: Tell us your evolving poetic maturity from 'Silent Steps' to 'Tidal Interludes'. Do you think the poet as a social reformer or only a person lives in his own created world? GL: Yes, it’s about a change of path. In Silent Steps there it was a free- wheeling experience, uniquely intense, jumping in and out of the surrounds but in Tidal Interlude there were less peripherals, more controlled emotion and nuanced expression and in the end more of life. Auden wrote once ‘Poetry makes nothing happen. There is a general feeling that a poet lives a bit in air, But frankly I believe a poet can do much more and make our earth a better place with his/her creation. GK: 'Silent Steps' is one of the most lyrical poems of Rabindranath Tagore's 'Gitanjali'. So have you used the Tagorial philosophy and lyricism in this collection? And also tell how have you shown this silence in this volume? GL: Oh, my God. So much stretch of imagination! I am not sure but one thing I do believe that my heaven is not hell and want my readers start beginning to look with me. Tagore and nature are inseparable. Do you remember the short story of Tagore, Balai? We are reminded of John Keats’ ‘The poetry of the earth is never dead’. I do find a kind of emotional and psychological depth in nature and these were reflected in the poems of Silent Steps. Regarding how I have shown the silence, I can say that here the eloquent voices of angel are Silence and the essence is the sound of church bell. I am probably more on the calling of Silence as a signature tune of Silent Steps. GK: Allow me to quote what Dr. Sunil Sharma wrote in the foreword of your 'Living Inside': "Reading Lahiri can be sensory and visual delight... His poems are surcharged with electricity enough to jolt us out of somnolence... Gopal is very inventive in his oeuvre. He can easily move from one region to another." So tell us how have you shown the various images in this volume? And also readers want to know the art of living in your 'Living Inside'. GL: It’s so interesting. I don’t believe in the unexplained but I am naturally drawn toward nature and there lies my spirituality. I always embrace the positive ones and honestly nature loves us that way. There is a side of me that’s a little bit of a photographer. I love to take images no matter how good or bad they are. We have heard about Arts for Arts sake but this does not always work. Emily Dickinson said ‘If I feel physically as if the top of my head were taken off, I know that is poetry.’ Being an earth-scientist, I have travelled far and wide, indulge in digging unexplored areas and bring out something new which can be seamlessly integrated into poetry also. True, images are my strong points in my writing. The following is an example when I was immersed in the natural beauty of Kumarakom located in God’s own country, Kerala. We know that poetry is the place where language performs. It’s hard to resist from finding patterns, from making something that connects and progresses from randomness. It’s what satisfies us when we really able to make coherence and order, however tenuous, out of the disparate lines or images and evolve a poem. In Living Inside therapy is not an option but a reality and I create my own space inside in a closet where my personal and emotional experiences are in search of breakthrough. Here poetry is not an end to itself but an echo of life. GK: Your 'Tidal Interlude' is somewhat different from other poetry collections. Can you discuss the differences and the connection between tide and interlude? In this context one question I would like to ask you. Why in this volume have you shifted your focus from meditation to resistance suddenly? GL: Tide is intrinsic in periodic rise and fall of water and the overlapping moment breaks into music. May be this says something but I don’t judge. I can only talk for what I feel and for my own experience. The poems here come out of dynamics of tide, more of life I presume, not out of still picture. Sylvia Plath has also shown a larger truth about how emotional suffering makes people feel isolated under their own airless glass jar. No, no, I would not say that at all. What it’s like to feel rejected, what it’s like to realize that everyone is unique in their own DNA, What it’s like to manage the new sensations that invade you. I am more and more fascinated by the history and the people. These observations are evident in a subtle way in Tidal Interlude. It’s not sudden but gradual, from earlier immersive period to a manipulative experience of the emotional reaction. GK: It is a well known fact that you have translated short stories of Israel from English to Bengali. Why have you chosen to translate short stories of Israel? And in this context tell us your experience as a translator. GL: I always feel that translation is a difficult task because you have to align your thoughts with the original work. Yes, transcreation is a word which is now very popular but you know from your heart that you are a prisoner here and cannot spread your wings much. The short story collection of Israel ‘Not Just Milk and Honey’ was translated from Hebrew to English by Haya Hoffman. I was staying in Delhi during late nineties and the offer for translating to Bengali came from National Book Trust. Hebrew culture was totally alien to me but I took up the challenge. Previously, I have translated only a few Dalit poems from English to Bengali for the Dalit anthology published by Sahitya Akademi. The biggest hurdle was to tell the compelling stories of Jewish history, identity, memory and their Diaspora life in a simple language for the Bengali readers. Furthermore, it should be close to the original. I had to talk to a few people who knew about the Jewish people and also to consult libraries many times. It took me six months to complete this exhaustive work and the book was well received at the end. GK: Can you discuss your future project with your readers? What are the suggestions and advices you would like to give to the upcoming poets and writers in general? GL: I am currently working with Dr Sunil Sharma on a Joint Collection of poems titled Cities: Two Perspectives. It’s about city-centric poems recalling the soul of the people and places of the cities that live in memory and here Mumbai is the focal point. Surely not an apostle of the ordinary, I always think that the deep appeal of the city life is that the ordinary may be made magical. This book will see the light of the day very soon. My advice is to the upcoming poets and writers that you have to read more of others works, develop a relationship with your subjects and in that relationship you have to able to identify expressions and nuances of creative writing. There is a sense of belonging in it and you have to cultivate that. You have to ask yourself can I make it. It’s an art form very frankly. When I look around I feel that many of us are interested to make short-cut and trying to be famous. We should not ignore our objectives of being a good and honest poet. GK: What is the future of contemporary Indian poets writing in English? According to you what are the possible measure that can enrich the future of Indian English Poetry? GL: Well, of course I would say bright. Internet is a revolution and Indian poets writing in English have a huge responsibility of carry themselves before the global readers. I think we can come close together, not confining in a silos and create a level playing field where every poet can help each other and showcase his/her talent. It’s not so quite frightening! GK: Thanks for the conversation. Stay safe and sound sir. GL: You are welcome. Thanks for these insightful questions. Keep up your good works. 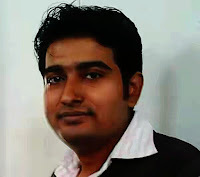 Goutam Karmakar is currently working as an Assistant Professor at the department of English, Barabazar Bikram Tudu Memorial College, Sidhu-Kanhu-Birsha University, West Bengal, India. He is also a PhD Research Scholar at the department of Humanities and Social Science, National Institute of Technology Durgapur (NITD), India. His articles, research papers and poems have been published in many International Journals. He has contributed papers in many edited books on Indian English Literature. 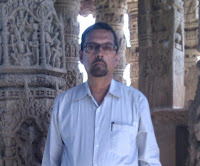 He has taken interviews of many notable Indian poets writing in English. His poems have been published in many poetry anthologies. He seeks interest in Indian English Literature specially poetry, Postmodern and Postcolonial literature, gender studies, queer theory, ecocritical studies, Dalit literature, folklore and culture studies. He can reached at goutamkrmkr@gmail.com.